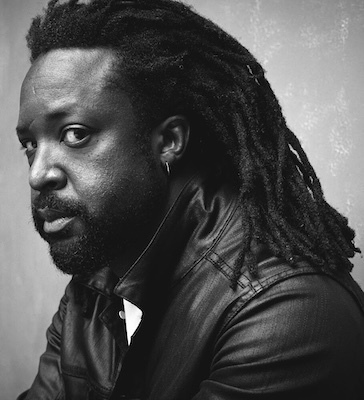 One of the most marvelous books to come along in some time, MAN Booker Prize-winning novelist Marlon James’ epic new novel, Black Leopard, Red Wolf (Riverhead), is the riveting, projected first volume of a three-book Dark Star trilogy, an epic cycle of novels drawing on aspects of African mythology, history, folklore. “James’ sensual, beautifully rendered prose and sweeping, precisely detailed narrative cast their own transfixing spell upon the reader. He not only brings a fresh multicultural perspective to a grand fantasy subgenre, but also broadens the genre’s psychological and metaphysical possibilities. If this first volume is any indication, James’ trilogy could become one of the most talked-about and influential adventure epics since George R.R. Martin’s A Song of Ice and Fire was transformed into Game of Thrones.” —Kirkus Reviews. 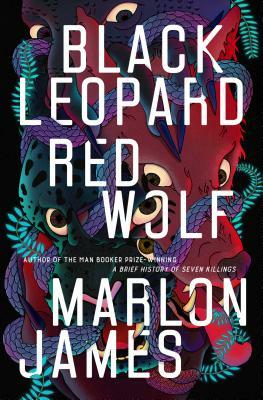 “Black Leopard, Red Wolf is the kind of novel I never realized I was missing until I read it. A dangerous, hallucinatory, ancient Africa, which becomes a fantasy world as well-realized as anything Tolkien made, with language as powerful as Angela Carter’s. It’s as deep and crafty as Gene Wolfe, bloodier than Robert E. Howard, and all Marlon James. It’s something very new that feels old, in the best way. I cannot wait for the next installment.” —Neil Gaiman. “This book begins like a fever dream and merges into world upon world of deadly fairy tales rich with political magic. Black Leopard, Red Wolf is a fabulous cascade of storytelling. Sink right in. I guarantee you will be swept downstream.” —Louise Erdrich. Co-presented by the NORTHWEST AFRICAN AMERICAN MUSEUM, SEATTLE PUBLIC LIBRARY, and ELLIOTT BAY. Free admission is on a first-come, first-serve basis.